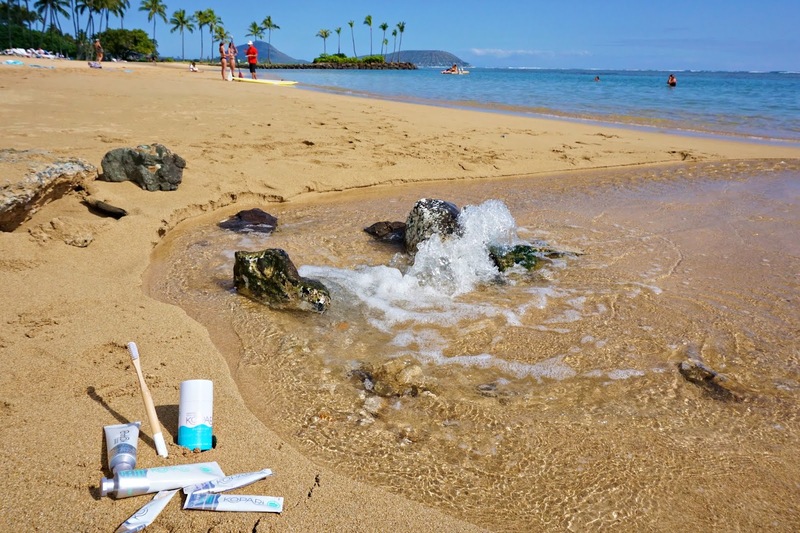 Beauty Professor: Brand Spotlight: Kopari on the Beach, Featuring the First Natural Deodorant I've Actually Loved. 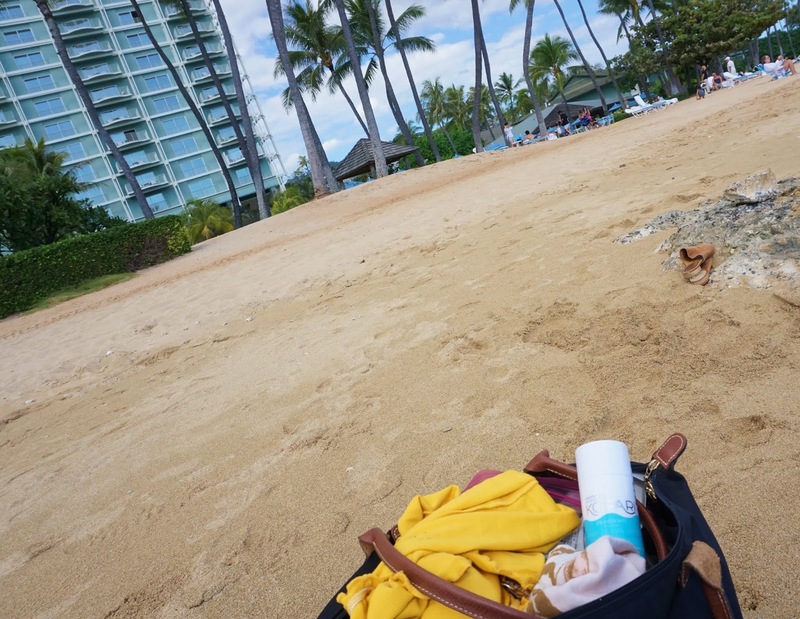 Brand Spotlight: Kopari on the Beach, Featuring the First Natural Deodorant I've Actually Loved. 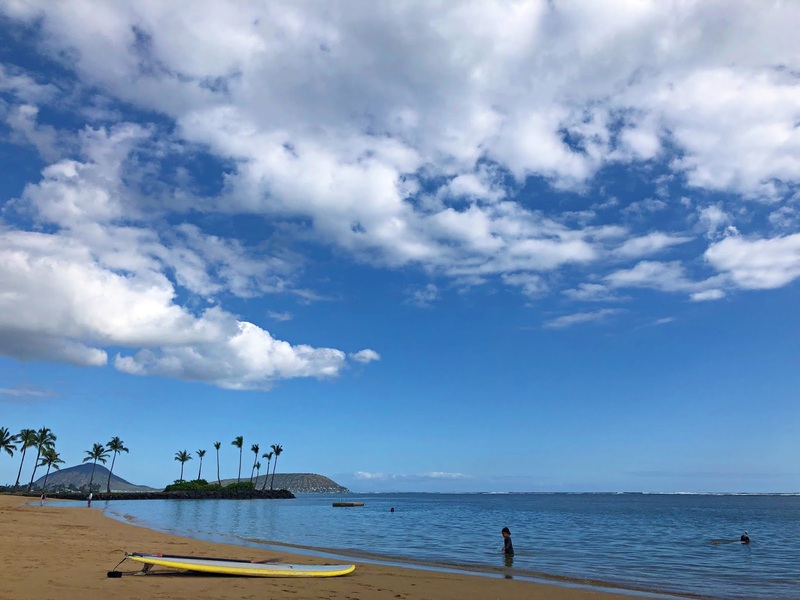 If you follow me on Instagram, then you may know that I spent last week in Hawaii with my husband and baby daughter. 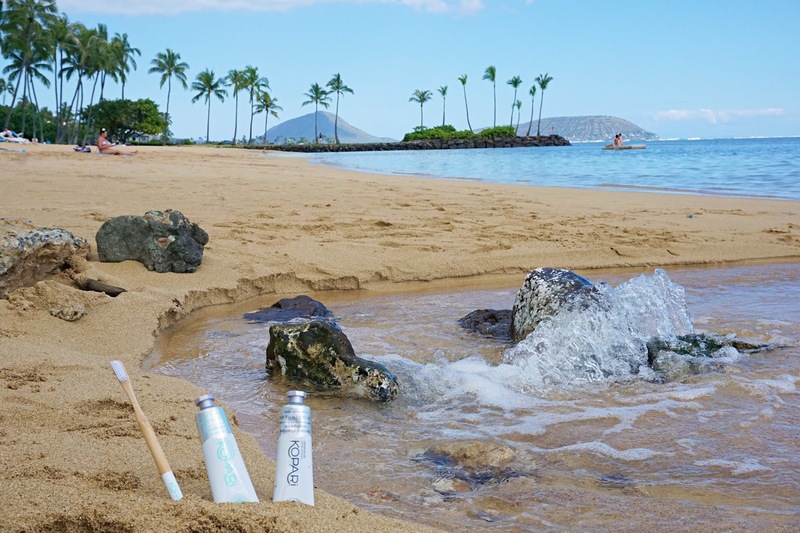 Although we tried to use most of our time to relax (as much as one can with a 6-month old) and adventure throughout the island, the stunning weather and environment, of course, inspired me to shoot some products on location. Where better to showcase some of my latest discoveries from Kopari, including the first natural deodorant that I actually love! 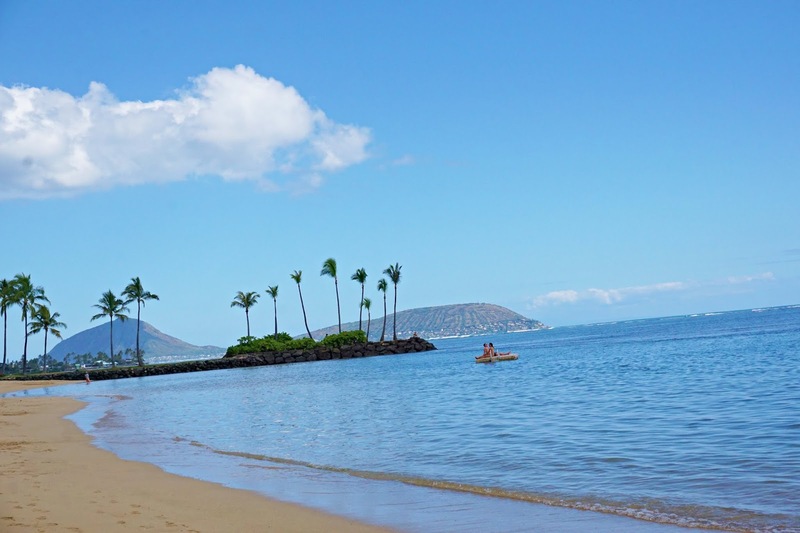 The beach at the Kahala Resort. Let's face it, deodorant is a necessity for most of us. I marvel at the few women in my life who say that they simply do not need it (if that is you, more power to you!) but do not identify with this superpower personally. That being said, deodorant is also a tricky entity; we know that traditional antiperspirant contains potentially harmful ingredients (research shows that aluminum on the skin has been known to pose health risks) but using a deodorant that's natural (and free of aluminum) but not effective poses its own social risks, no? Enter: the *Kopari Coconut Oil Deodorant. Aluminum-free and actually effective, this formula is the natural deodorant chimera for which I've been searching. This clear solid (which is also silicone-free and smells like a coconut dream, I might add) glides on and feels hydrating while drying down to nothing. I get all day protection from odor without the fear of a surprise musk coming on by evening. Please note, because it's not an antiperspirant, you still will experience natural sweating but that is one of the ways our bodies rid themselves of toxins; as long as there's no untoward order along with it, I support the sweat. If you're thinking, "Rachel, that's great for you but I've had no luck with natural deodorant in the past and this formula is probably no exception," please know that I experienced my own sense of skepticism when reading the plethora of glowing, five-star reviews on this deodorant earlier this month. I've tried at least 10 natural deodorant formulas and this is the only one that masterfully displayed efficacy over the course of a long day. It must be tried to be believed! The *Kopari Coconut Oil Deodorant was my bag this entire trip. Kopari has also introduced some new innovations in oral care. I am not a toothpaste loyalist and often have a few in my testing queue; when I can find versions with the least amount of chemicals, it's a bonus in my book! I am very impressed by the *Kopari Coconut Toothpaste as it has just the right blend of mild coconut and mint flavor and contains no fluoride (thank you very much) while still leaving my teeth looking and feeling exceptionally clean. For those that want an extra dose of natural potency, the *Kopari Coconut Charcoal Toothpaste includes addition whitening power while still capitalizing on the antimicrobial properties of the coconut oil. 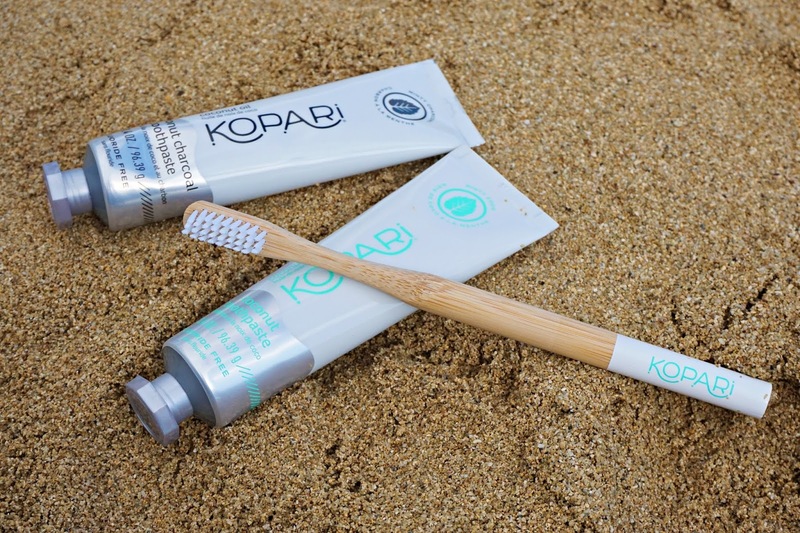 Couple either of these toothpastes with the sustainably crafted *Kopari bamboo toothbrush (completely biodegradable and BPA-free) your teeth will have the best that nature can offer. I am also fascinated by the *Kopari Coconut Oil Pullers to refresh and whiten with every use. This age-old process of swishing oil in one's mouth for 5 minutes gently detoxify and remove stains without disturbing enamel while simultaneously contributing to healthier gums and fresher breath. 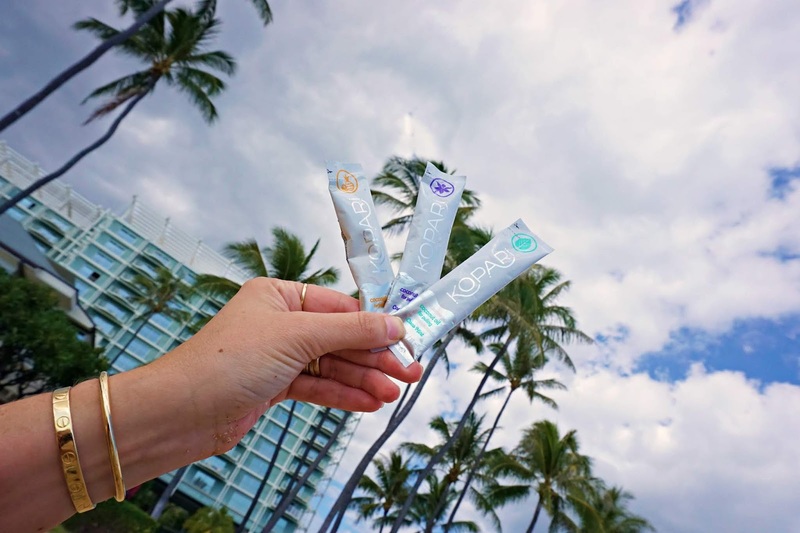 The convenient vegan, sulfate-free, fluoride-free and paraben-free travel packs come in three flavors--coco mint, coco colada and coco vanilla--that taste better than any pulling oil I've tried to date. 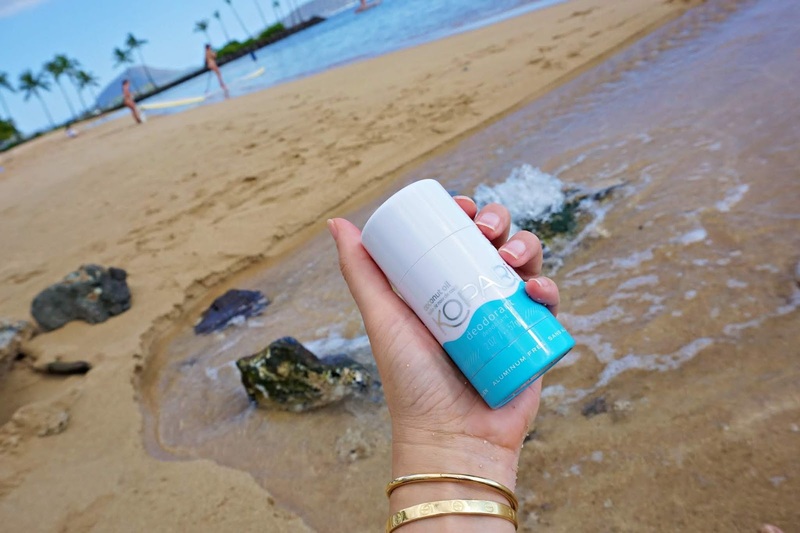 Bottom Line: I hope you enjoyed this Kopari brand overview and are inspired by the strides the line is making in natural deodorant and oral care formulas. As aforementioned, if you've been disappointed (as I have) in natural deodorant in the past, I implore you to summon the courage to give one more formula a chance. Also, if you're interested in picking up some Kopari products, use the code: Beautyprofessor15 for 15% off your online order! Good things ahead, including a clean and green video tutorial (going live on Beauty Professor and my YouTube channel later on today!) and a host of new product launches. **Many thanks to Kopari for sponsoring this post. PR samples provided for review denoted by an asterisk (the rest purchased by me), however, as always, all of my opinions are expressly and unequivocally my own. © 2012-19 Beauty Professor® All Rights Reserved. Do not copy, reprint or republish content and/or photos without author's written permission. Thank you! It's by Lenny Neimeyer and I found it on The Real Real new with tags). Super comfortable and fits true to size (I got a size small). 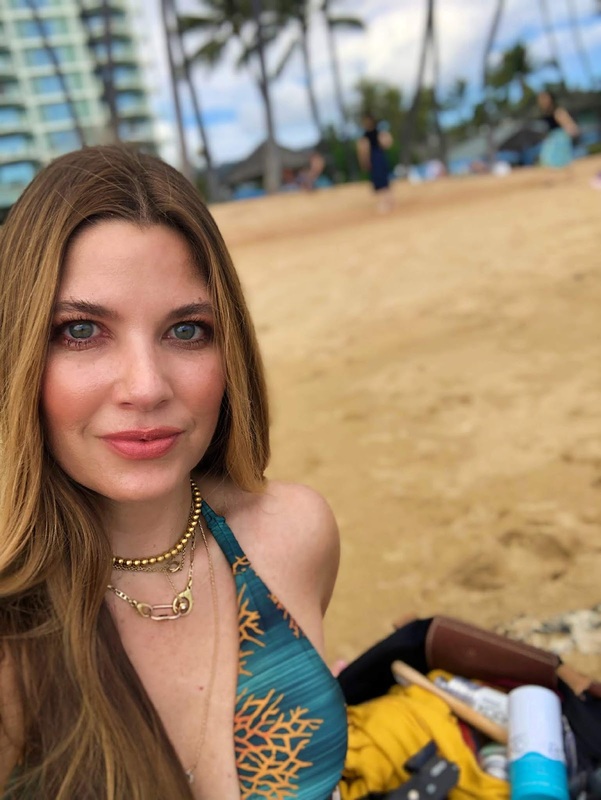 We had the best time in Hawaii...thanks! Happy weekend to you!